Taking “Lightning” photo is always a difficult task. I’ve read few blog posts long back from “Digital Photography School“. We normally use the adjective “Lightning” for speed. If you plan to shoot “Lightning” like you normally shoot other nature elements, you got to be either “Lucky” or one of the Avengers team member (extremely faster). 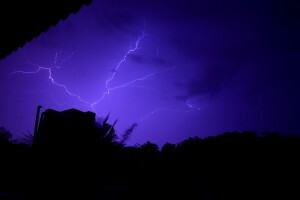 Here I’m giving my experience with my last photography of Lightning. We were staying in Pondicherry (Satsanga, place in ECR). As usual I was browsing net till late night like 11:30 PM. Until then, I didn’t notice it was raining outside. Saw big flashes outside. It was pouring cats and Hugos. At first, I didn’t want my camera to wet in rain. In dilemma to take photo, I was moving up and down the 2nd floor of the building. It was pitch dark outside as it was closer to “No moon” day. 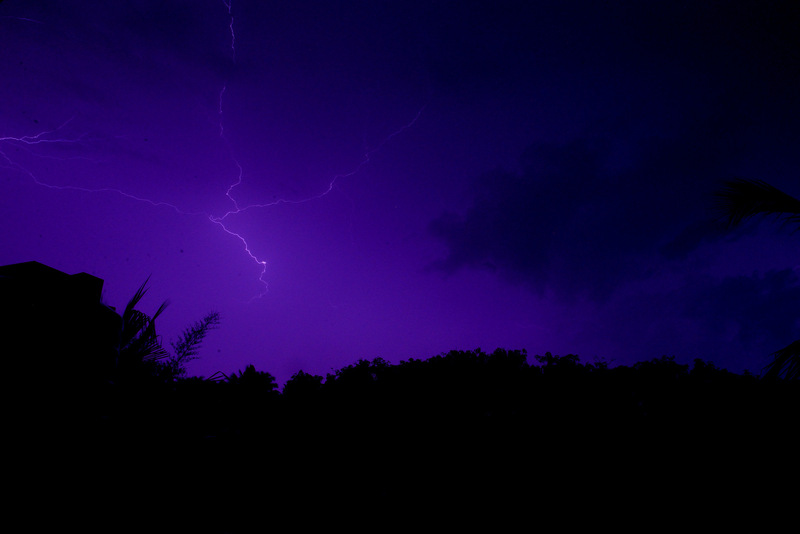 I decided to take a photo of Lightning. I setup the tripod in the 1st floor balcony. Brought the camera remote control from the room. Remember that, during long exposure photos, even the vibration from the click of the camera could give some blur. So you should use “Remote” for a clear picture. But couldn’t get a good view of the sky. So decided to go to the top floor. Searched and covered the camera with a big plastic bag and moved up. 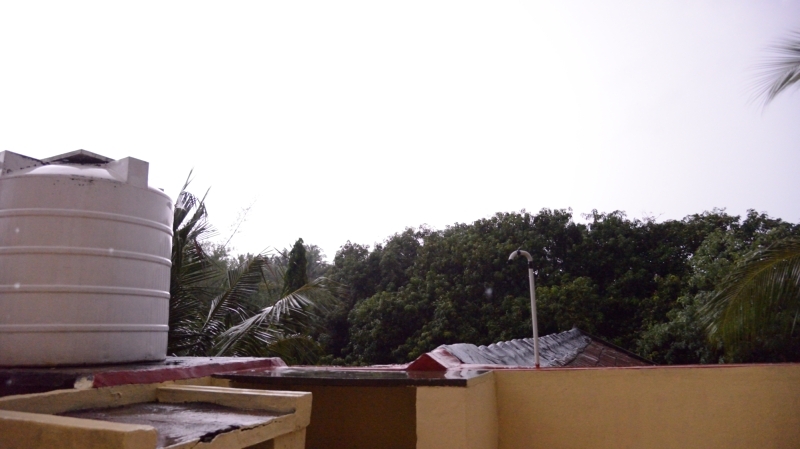 The flash of the lightning was giving a sunny day effect and it was scary. The below picture was taken in that pitch dark and was testing with different settings. It looks like a sunny day huh! but it is 2:00 AM in the night. Got a torch light and went again with the whole setup. To shoot lightning, you would be using “bulb” mode. That is you can control the start and end of the shutter lock. The first click will start taking the photo and the second click will finish taking the photo. So you can have any customized time of shutter speed. 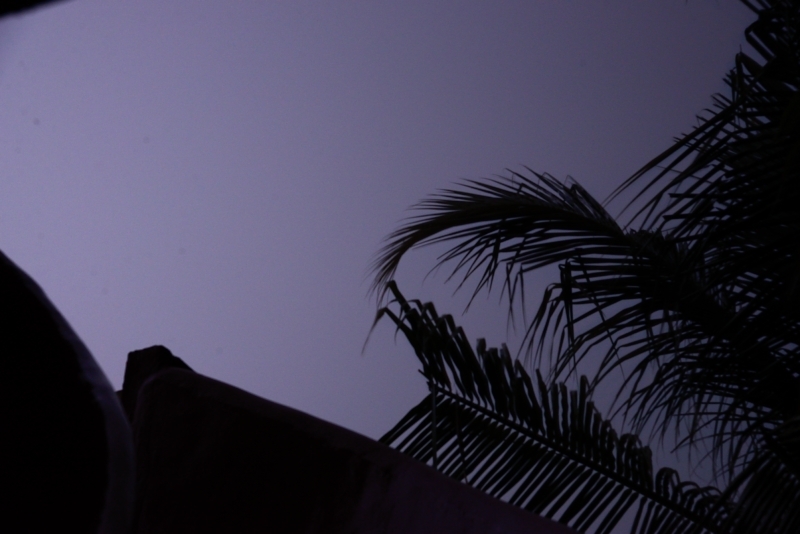 So with low f-stops (high in number) you start taking the photo, and wait for the lightning. Once you see a lightning, stop the photo. Repeat this process until you are satisfied with a photo. 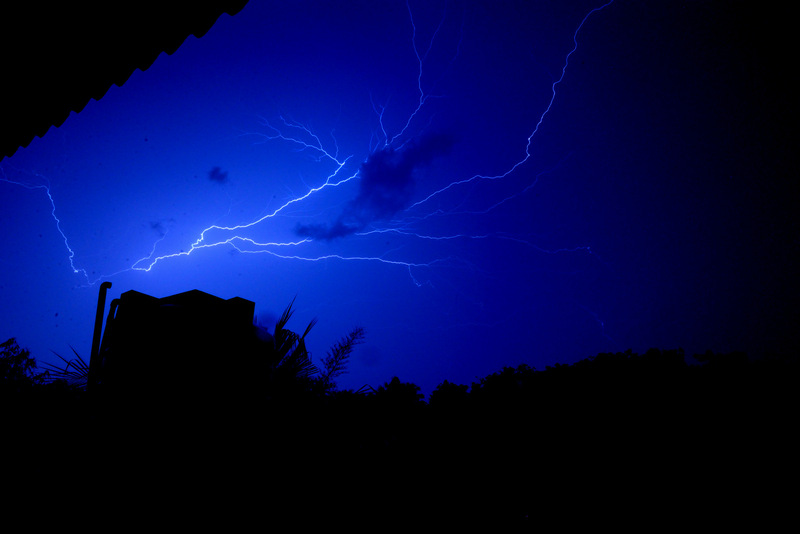 Sometimes, there will be plenty of light in the sky without a visible lightning. Another big spoiler for my photos were b’cos of rain. Water were spilling all over and my camera lens was full of dots. You could see lot of dirt like effects on the photos. There are some water droplets also from the roof. If you were waiting for too long, chances are there your photo get overexposed without captured a single Lightning. Out of 190 photos, the below are the good ones. Yet to take the best. Since I was shooting from inside a room, could get only a portion of the sky. Most of the time, lightning was on the other side. Hopefully, I will see heavy lightning without rain, another day! 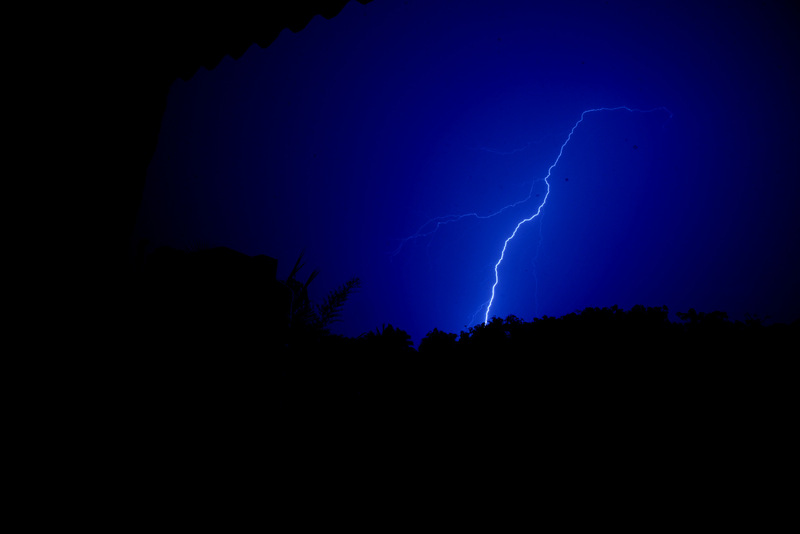 And take my best “Lightning” photo.